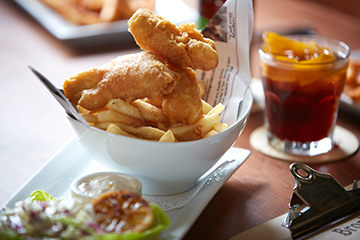 Enjoy a Taste of Carmel with a nightly $25 F&B credit at Brophy's Tavern. I consent to receive marketing communication from Classic Hotels & Resorts© and its subsidiaries. Pet Policy: We welcome up to two pets per room. Pets must weigh no more than 40 pounds to be permitted to stay at Hotel Carmel. 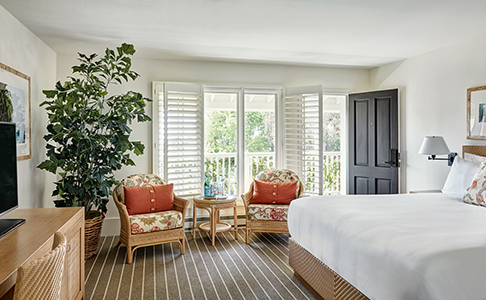 Guests traveling with pets will be placed in our pet-friendly Classic Double Queen with Balcony guest rooms. We ask that you please inform us prior to arrival that you will be traveling with your pet (or pets). A Pet Waiver must be completed and submitted to our Guest Services, and a $50 non-refundable pet deposit per stay will be charged upon check-in. The fee will be waived for service animals with proper documentation. 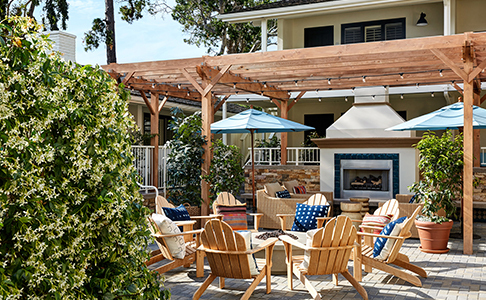 Take in views of the hotel’s intimate landscaped courtyard featuring an outdoor fire pit and Jacuzzi. One Complimentary Appetizer with Purchase of (2) Alcoholic Beverages and 1 PM Late Check Out! Relish Carmel's scenic village views from your doorstep. 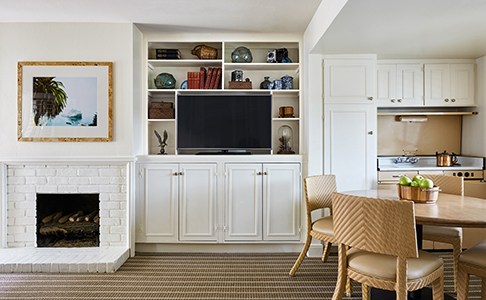 Enjoy the spacious comfort of our perfectly appointed Courtyard King Suite featuring a separate bedroom, living room with private fireplace, vintage kitchenette and dining area.